Official Foundation of the Federal Association "MusicTech Germany"
Last Friday, 21. 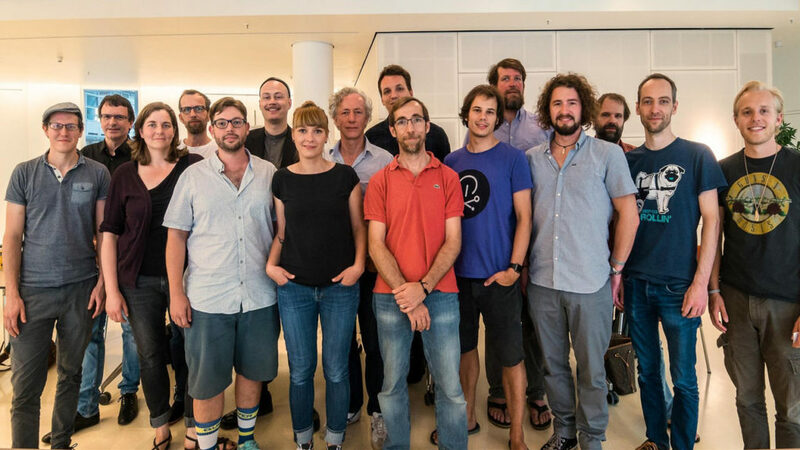 July 2017 we met in Berlin to the Federal Association of music technology Germany e.V.i.G. (MusicTech Germany) final, and now finally also formally to awaken to life. Although we have already been able to implement the first events of the last weeks and months, and are already diligently screwing the visions and concepts for the association, but now it can officially start right. We are delighted that such a great and strong consortium of dedicated companies, experts from business and research, as well as designers, artists and free developers have come together for the creation of this world's first association of its kind. A professional association for this industry is actually long overdue. After all, it is the developers and suppliers of new technologies that determine the changes and future direction of the music industry. The way for the inventor of such a novelty, however, is often tedious and cumbersome as a lone fighter. Therefore not all come to the target and have to give up on the way. As a result, some innovations never see the light of the public and disappear again in nowhere. The merger in an association, on the other hand, powers the forces and enables them to find support and to provide more attention with a common and louder voice. As an association we want to bring the importance of music technology from the dusty nerd corner and help it to the recognition it deserves. We want to remove the current barriers to the industry and promote the Gründertum by reducing bureaucracy and advising the founding process as an association. In order to get a more detailed overview of the respective challenges of the various sectors of industry as soon as possible, we would like to start directly with the networking of the different actors in this diverse and fragmented industry. The more we pool our resources and let our networks know about the foundation of this community of interests, the quicker we get a realistic overview of each individual's needs. Some challenges can be overcome quickly through collaborations or other mutual support. Others, in turn, require general structural changes. To this end, we will seek discussions with public decision-makers. We will make ourselves strong for the implementation of measures that are urgently needed in Germany in order to enable innovations in the field of music technology to be faster and less bureaucratic. As music technology has an extremely wide range of applications, we will also exchange ideas with other industry associations to ensure the necessary conditions for a positive future for this industry. Music and technology have always been directly connected. Always easier and more affordable access to new technologies, the entire value chain of the music industry was broken up in the past few decades and will change dramatically as a result in the future. From notation software and new musical instruments, to digital music and distribution channels, to streaming formats, apps for easy interaction with music, or novel concert experiences and ticketing solutions, the possibilities In this day and age almost infinite. Many innovations in this field have arisen mainly in this country, as well as the last great invention, the MP3 format, which, like nothing else, has changed the music industry in the long term. A competent partner for digitization of question is not only the music industry with MusicTech Germany now. The range of music technology now goes beyond the music industry and has been for some time in other vertical industries such as the games and film industry, the education sector or the health care industry. As a federal association, we will make a decisive contribution to the development and dissemination of music technologies, in and beyond Germany, in order to strengthen the location for companies and talents in this field in the long term and in a sustainable. Prof. Karlheinz Brandenburg, director of the Fraunhofer Institute for Digital Media Technology IDMT and known worldwide for his significant participation in the development of the MP3 process, is particularly pleased that the Fraunhofer-Gesellschaft is a founding member Engaged in the association: "Fraunhofer has become famous worldwide through its solutions for audio coding and other audio technologies and should continue to be trendsetters when it comes to innovations in the field of music technology. Membership in MusicTech Germany is a real step, because it needs a strong and interdisciplinary network in Germany in order not to miss the connection internationally. " In addition, we would like to actively improve access to music technologies for women from the association and to inspire more female talents for the industry. A corresponding network is to be built in the next few months. If you are interested to participate, a short E-Mail write us how you you would like to contribute. A membership in the MusicTech Germany is only times not required. Although we see ourselves as an economic association, the Association is also open to all those who do not come directly from the economy but have touch points with music technologies. No matter if you already part of a company are or not. Finally, there are often no longer the big companies, which provide for innovation, but above all projects from associations of artists, developers, and other creative minds who create the applications and products of the future with new approaches. This applies to promote it. If you have questions about the Association, membership applications, or opportunities for cooperation, then report to. Auf in eine spannende Zukunft!